The TReX can be configured and/or cloned through serial commands, TCP, USB or via a web browser. The TReX is suitable for commercial, industrial and remotely managed SCADA control/monitoring applications using Modbus RTU/TCP protocols. The TReX has been developed and is maintained "in-house". WTE can work with your team to customize the TReX to meet your system needs. The WTE TReX is a 4W Ethernet (TCP and Web), serial (RS232, RS485, RS422) and USB capable transceiver for data, paging and general telemetry use. TReX series transceivers are advanced, high speed, long range wireless VHF & UHF data radios built to endure the stresses of daily use in harsh conditions that will keep you working with complete confidence, saving you time and money. The TReX features reduce the components required in a SCADA system. Modbus RTU/TCP, Integrated logging and protocol support reduce additional signal conditioning and processing. TReX SCADA sytems are scalable and allow for many remote TReX units to be used together - all connected wirelessly over a large distance. Transmit and receive paging messages. Mirror analog and digital inputs to a remote unit autonomously without the need for a supervising computer. Use standard SCADA systems to monitor and control many TReX units working together in a wireless network. Transmit and receive serial and telemetry data at high data rates. Repeat and forwarding telemetry and paging messages in poor coverage areas. Inspect potential site interference using the integrated spectrum analyser. Report system and installation errors, such as loss of communications, faults to antennas and battery states. Data transmit rates from 512 baud to 32K baud. Supported channel spacing of 25kHz, 12.5kHz and 6.25kHz. Support for two-way paging including receipts for delivery and acceptance of messages. Sends and receives 512, 1200, 2400, 4800 and 9600 baud POCSAG paging messages. Receives 1600 baud 2 level FLEX™ paging messages. Paging store and forward repeater operation with configurable duplicate reject. 8 digital inputs and outputs. Simple to configure back to back mirroring and monitoring of analog and digital IO. Configurable logging to SD card of all transmitted and received messages. 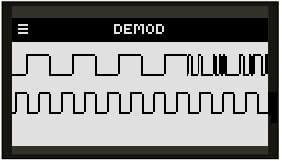 Graphics display shows all transmit and receive activity including I/O state. Fully configurable via front panel without the need for an external PC connection. RS232, RS422 and RS485 support. USB connection allows downloading of TX and RX logs or direct access to configuration files. Configured inputs can be programmed to send messages when triggered. Periodic message support to ensure radio link integrity. Enabling and configuring the Ethernet network is fast and easy. In a couple of clicks the radio is ready for your network. Each input and/or output can be configured in-dependently. Configuration is simple and intuitive. All input and output states can be displayed - making it easy to view the system current state, or identify or a fault. Allows to temporarily set an output to verify the physical connections to TReX, essential for trouble shooting in complex multi device systems. The TReX supports both RTU and TCP modbus protocol options over any of the RS232, RS422, RS485 and Ethernet interfaces.